Good day to you all! 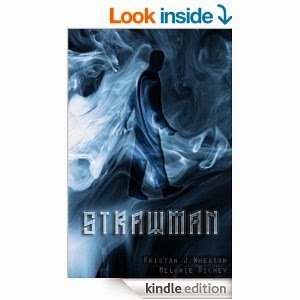 Today, we have Melonie Richey who contacted me a few weeks back about a gamebook she had co-written, called Strawman. It was more than just a simple gamebook, however, as it is designed to teach and test students on different cognitive biases and how to identify and deal with them. I read Strawman and found it very interesting and useful, so I asked Melonie for an interview on how her experiences of making gamebooks educational went. You can buy Strawman from Amazon. You can also find Melonie's blog here, along with an article on game based learning here. What is your research about? Kris Wheaton's research focuses on the intersection of games-based learning and intelligence. He is a long-time game designer and, as an example of his work, see this article. We both worked on the IARPA SIRIUS program (developing a videogame to train intelligence analysts to recognize and mitigate cognitive biases). I also extensively playtested a game he developed called The Mind's Lie (and The Mind's Lie app Biases with Friends) which we use as the cornerstone product in our cognitive bias workshops (because my research proved, thankfully, that it is effective!). More recently, we co-authored this article in e-international relations that speaks to our work. 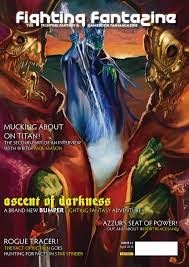 What is your favourite gamebook? As far as favorite gamebooks, we haven't read a ton of them (went straight to writing before reading... probably not wise but we are all about learning by doing). I think our favorite, though I don't wish to speak for my colleague, is Ryan North's To Be Or Not To Be (and not just because it was a widely successful Kickstarter... but because it is hilarious and where we originally got the idea to write a gamebook that teaches). Why did you decide to teach cognitive biases through the medium of gamebook? We first didn't decide to teach cognitive biases with a gamebook. We first decided to teach it with a game (The Mind's Lie, as previously mentioned). Or rather, my colleague, Kris Wheaton, did. He gets all the credit. I did the testing and wrote exactly half of the gamebook, but the idea to teach intel topics through games was all him. We saw the gamebook as an extension of our games-based approach that would add to our body of both work and product. The game is collaborative, which is great, but the gamebook is individual, so it added greatly to our training package. What did you learn when writing your gamebook? Writing the gamebook was a BIG learning experience for us both. Outside of learning the logistics of writing a gamebook (keeping track of the page numbers, etc. ), there was a certain amount of finesse that we tried to achieve, exemplified as the balance between making the answers "too obvious" and making the answers "too obscure." 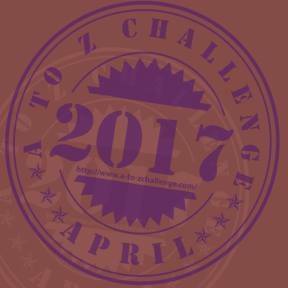 We had to manage an increasing level of difficulty as the gamebook progressed from chapter to chapter. We had to keep teaching at the forefront at all times. Of course, the gamebook had to be entertaining, but that is typically the problem with using games as teaching tools; either they are effective and boring or fun with little to no instructional value. Finding that balance was the biggest challenge. What did you like about writing a gamebook? Writing the gamebook was gratifying because it went rather quickly. We plowed through all five chapters in about 10 days. And writing multiple endings to each chapter and then to the book gave us an opportunity to explore different variations of success and failure from a learning perspective. The gamebook format allowed for varying degrees of instruction, success and failure, which was very conducive to our main purpose: to teach. What is the future for educational gamebooks? We think educational gamebooks (just as we think educational games) have great potential! What we think is most needed (and therefore what we have been working on) is getting this into the academic literature so that there is a body of substantive work that supports the concept. There is are two quotes that I think sum it up: Kris says "attention is the currency of learning." And someone, I think it might have been James Paul Gee or Mark something (games-based learning guys - I can get you the direct quote if you need it for something) said something to the effect of since we need to capture and maintain attention for learning, let's turn to the discipline where attention itself is the expertise (referring to games, of course). Again, not to speak for Kris, who could talk your ear off about why games are the right answer , but those two quotes, for me, sum up why gamebooks are a good answer in education. Not only does it teach in the best possible way, it ALSO gets kids reading (again, our target audience is not so much kids, but intel analysts... but you get the point). "One of the greatest benefits to learning through games in general and interactive fiction in particular is the ability to learn from your mistakes - to learn by failing. Interactive fiction forces readers to make choices and then live with them but also typically gives the reader an opportunity to learn from those mistakes and play again. When we wrote Strawman, we saw this as a real advantage of the interactive fiction format."